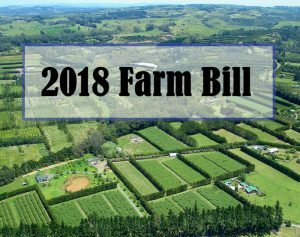 The two largest farming groups in the United States called for swift passage of the farm bill by a congressional conference committee. “America’s farmers and ranchers persevere even in the toughest times, but the farm economy has gone from bad to worse,” AFBF President Zippy Duvall said.“Tariffs and stagnant global demand for commodities have left the agriculture economy in the worst shape we have seen since the farm crisis of the 1980s. Lender surveys and our own experience tell us spring could bring a wave of farm closures unless there’s major improvement in the marketplace. AFBF and NFU, together with more than 150 other organizations, also sent a letter to the Senate and House Agriculture committees asking the farm bill conference committee to pass an on-time, five-year farm bill before the September 30 expiration of the 2014 farm bill.